Arizona and Texas announced Friday that they were preparing to deploy National Guard members to the U.S.-Mexico border in response to President Donald Trump’s call for more border security. Arizona Gov. Doug Ducey said about 150 Guard members would deploy next week. 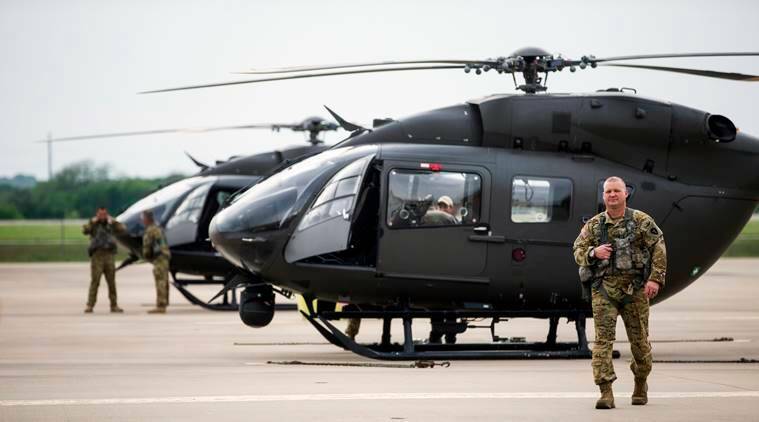 And the Texas Military Department, the umbrella agency over the Texas National Guard branches, said on its Twitter account that it would hold a Friday night news conference on its preparations, though further details were not immediately available. New Mexico Gov. Susana Martinez’s office said Friday that it had not yet deployed any Guard members. The office of California Gov. Jerry Brown did not respond to questions about whether it would deploy troops.